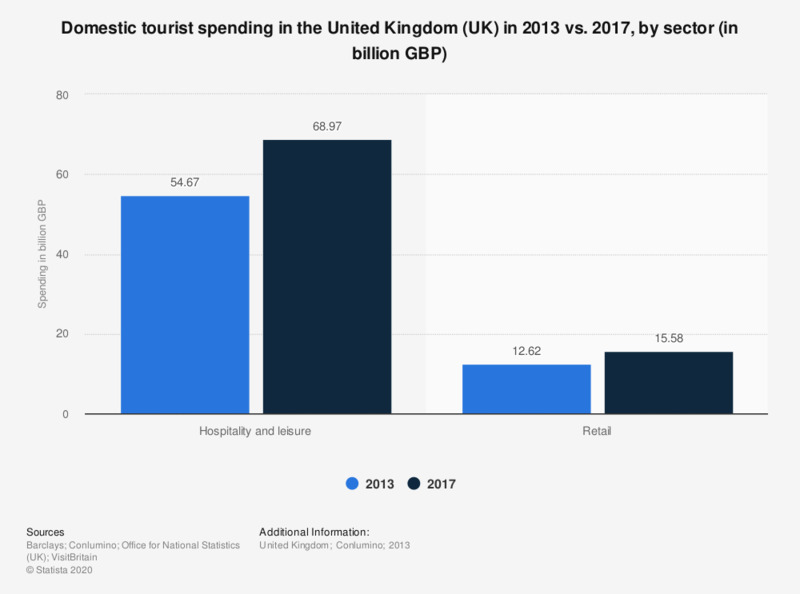 This statistic displays a forecast for domestic tourist spending in the United Kingdom (UK) in 2013 vs. 2017, by sector. 2013 saw 54.7 billion British pounds spent in the hospitality and leisure sector. In 2017 spending in this sector was expected to rise to almost 69 billion British pounds.